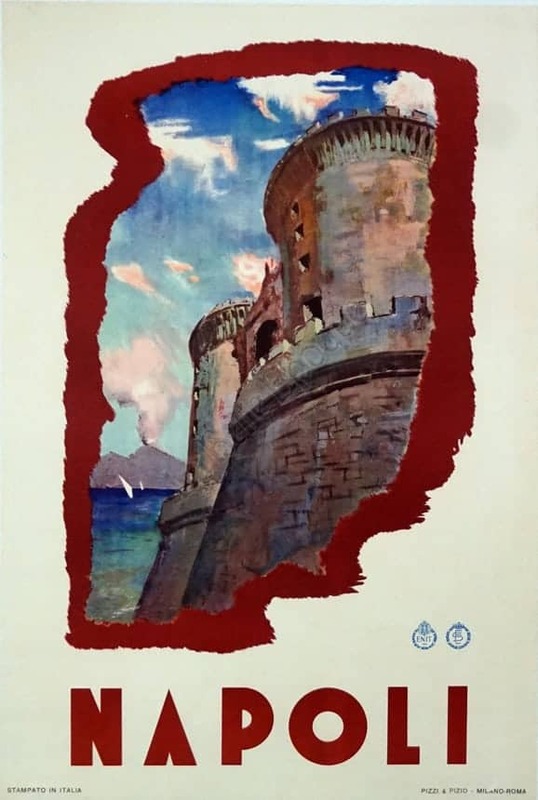 This is a travel poster to Napoli, featuring a window into Napoli. Pictured is the towers of the Castle Nuova (Maschio Angioino) and its triumphal arch, with Mount Vesuvius erupting in the background. In the Bay of Naples, you can see the sailboats sifting through the waters.